The term fatberg is widely used to describe the build-up of grease in sewers that usually lead to blockages costing governments thousands in removal and repairs. Stopping the grease from going down the drain in the first place has been the job of the Grease Guardian for decades. The Grease Guardian grease trap and grease removal unit has been installed across the world and it is estimated that over 200 tonnes of grease are trapped and removed by Grease Guardians every year. The grease removed by Grease Guardians is being used as a renewable energy source in many countries. Not only then is the Grease Guardian helping to prevent pollution by removing grease it is helping to source an alternative to using fossil fuels as an energy source. 200 tonnes less pollution and 200 tonnes worth of renewable energy. Grease Guardian grease traps are approved for sale in Ireland and England as well as most major cities in over 30 countries. Grease Guardians are manufactured by FM Environmental Ltd founded in 1977. Grease traps are required by law to prevent grease from entering drains and causing blockages. 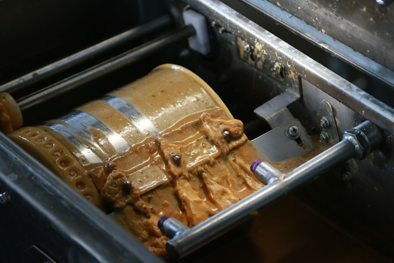 The Grease Guardian is a grease interceptor that traps fats, oils and grease and removes them through skimming. With offices and support services in Dublin, Belfast, London, New York, Sydney, Melbourne, Paris and Kuala Lumpur the supply of grease traps under the Grease Guardian brand covers all major areas.